(Clicking on the image above will take you to Amazon where a tiny percentage goes to help my movie and book buying habit. Burnt is a great movie. Staring Bradley Cooper, it’s the story of a chef seeking redemption by opening a new restaurant in London and winning a 3rd Michelin star after imploding and ruining his mentor’s restaurant in Paris. It’s use as a management tool comes from the relationships of running a team and of how not to treat employees. It does contain swearing, so if that is incompatible with your company culture this movie is not for you. I feel there two ways to use this particular movie. In whole; individually, to help illuminate how abusive management is contagious and ultimately counterproductive and in a general staff meeting. As a tool in a meeting I found the best way was to isolate certain scenes. Chapter 5: @ 26:30 through to Chapter 6: @ 36:20 – The preparation for the opening of the restaurant. The attention to detail. Staff working at the top of their game, working as a team, and watching that disintegrate due the the behavior of one employee and then the abuse that is untenable. Chapter 7: @ 40:44 through Chapter 7: @ 43:45 – Again, the preparation and attention to detail and that things have recovered after the events of Chapter 5 and 6. Does this mean the behavior that was seen in chapter 5 and 6 was ok and worked? Chapter 9: @ 50:58 through Chapter 9: @ 52:23 – Contagion. Demonstrated behavior turns into learned behavior. Chapter 10 through Chapter 10: @ 56:03 – More contagion, and now it is difficult to control. Chapter 12: @ 1:11:52 through Chapter 12: @ 1:16:00 – Appalling behavior has a price to pay – even years afterwards. Chapter 15: working as a team, and working together, is more important than anything else. It is unusual to see actual work environments, even though this is quite a dysfunctional one, with the real kind of relationships that employees have between each other in a mainstream movie. A thoughtful viewing of “Burnt” should give any leader pause for thought or something to aspire to. And even with taking scenes in isolation it should allow staff to see how bad behavior from anyone can spread and create a workplace where no one wants to work. It is also nice to see a movie where unacceptable behavior is shown for what it is: unacceptable, rather than celebrated. For my American non-car fetish readers, Jeremy Clarkson is larger than life public figure and journalist from the UK who is known world-wide for the BBC motoring television show Top Gear. 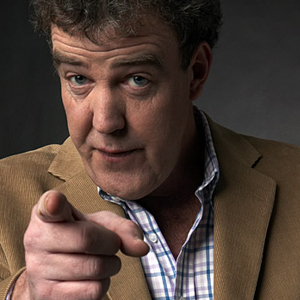 When I say larger than life, a serious aspect of Jeremy Clarkson’s public persona is his often outrageous and politically incorrect statements in private and on Television. Some might say that everything has come to a head with the presenter multiple times in the past; however, for most the head was reached today when Clarkson was fired for punching a producer during an argument over food following a days filming. The personal conflict comes from my love of Top Gear and Clarkson as a broadcaster. As a person, I am sure he is not someone I would like to spend much time with (I’m not a fan of his writing or politics.) However, the deeper conflict is how the media in the UK has essentially manufactured and over blown any number of remarks into career damaging scandals. The culture of bullying by majority over remarks or misunderstood events, by the major media and the social media hordes has to stop. We risk complete disengagement by future generations due to the risks of getting involved – it is just not worth it. Finally, the human resource and management side of me applauds the BBC for having the courage to fire a key employee for completely unacceptable behavior in any workplace. Sorry Jeremy – but to needed to be fired for that. The scandal is not the punch, the scandal is not incidents over number plates, or ill chosen remarks. The scandal is that television personalities and programing will be a little more bland and a little less interesting because we can’t just dismiss a personality as an idiot and not watch them if we disapprove.